#QBOchat hi all ?..so sorry I’m late! Kelly with Totally Booked from NYC! @getclockshark That sounds exciting!! Make sure to use the #QBOchat hashtag so we can all see it later. @QBOchat My biggest success (?) has been starting the Facebook group I’ve wanted to be a part of: QB4NPs https://www.facebook.com/groups/230507621027170/ … #QBOchat Oh! 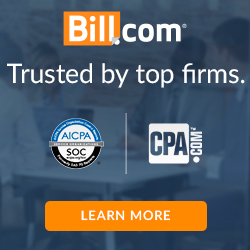 And making @avalara‘s top 100 list!!! @QBOchat Our biggest success of the week was to be featured in the What is? section of #QBOchat website! Team was really excited about it!! @emandel82 Why the heck aren’t over at #QBOChat bragging about it?? 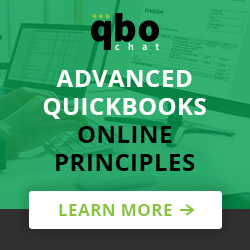 @QBOchat where’s the link to sign up for the weekly #QBOChat reminders? @emandel82 @NaviBudget @DivvyPay really need to get this on their calendars. When I need to work with no distractions, I put on Spotify/Genres and Moods/Focus/Peaceful Piano! @QBOchat Our biggest success was onboarding a complex Nonprofit with crazy timekeeping issues on @tsheets! Can’t wait to get board approval so the department managers can start scheduling staff and events!